The Latta collection offers floor lamp and wall lamp choices. 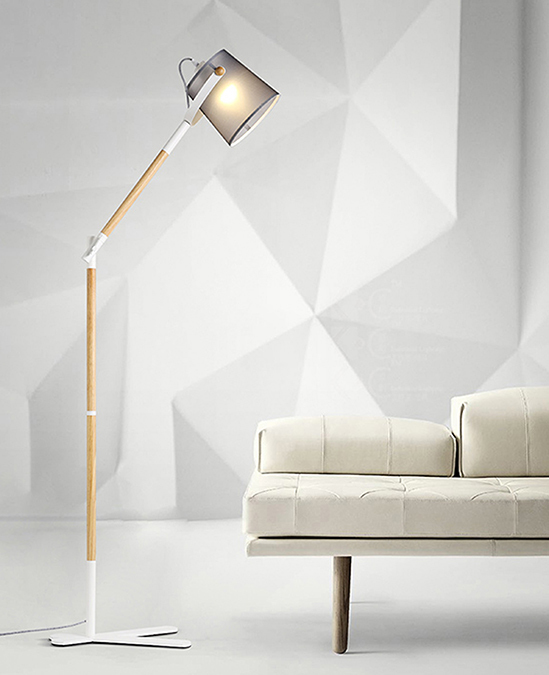 This contemporary Latta floor lamp comes with a unique design base made of timber and metal. It is a simple yet bold statement in any room. 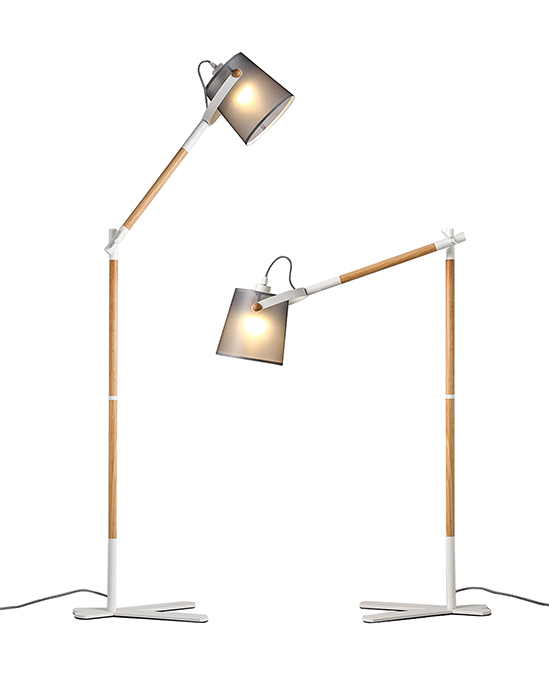 The bendable body and adjustable lamp shape make it flexible for all kinds of use. The light grey fabric shade gives a soft glow for the space.